Call upon the great strength of the legs with this series of grounding asana. This sweat-building flow lays the foundation for many years of powerful practice. Strengthen and energize the arms from wrists to shoulders in this alignment-focused sequence. Let this one be an adventure as you experiement with folds and inversions. Rekindle a positive relationship with your body through this twist- and hip-focused flow. 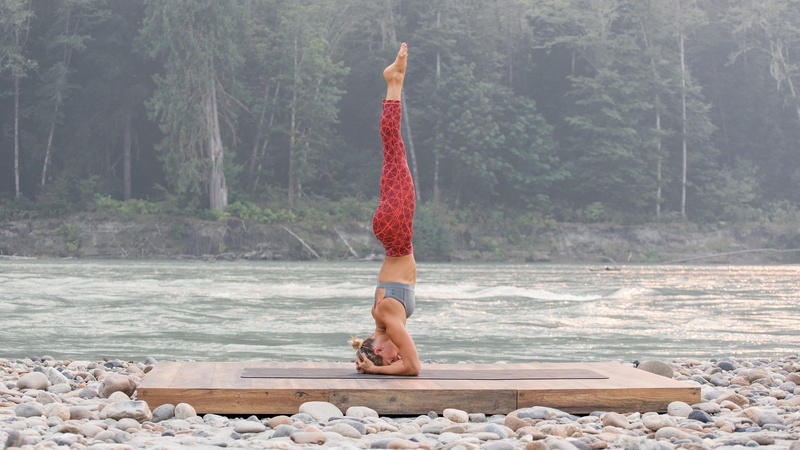 Call upon the strength and fluidity of a mighty river for these powerful flows with Chelsey Korus. Sharpen your focus, soothe the mind, and build confidence with classes focused on the legs, core, arms, and hips. Filmed in the wilds of British Columbia near Wanderlust Festival Whistler, this series will wash you back on shore with a natural, grounded sense of who you are, every breathing moment. Enjoy these classes with custom soundtracks mixed by DJ Taz Rashid, featuring Wanderlust artists such as DJ Drez, Garth Stevenson, Ida Jo, and DJ Sol Rising.